January 12, 2017 – It is great to see the press coverage continuing to shine a light on the “Let Girls Learn” initiative. Our goal is not to only to assist in providing power infrastructure to Africa but also assisting in the growth of Africa’s citizens. We are excited to continue to take part in such an awesome initiative! We encourage others to get involved in making the “Let Girls Learn” initiative a huge success! To learn more about this initiative, Endeavor’s commitment and how you can help, please visit the Let Girls Learn website. Click here to access this article published on Medium.com by Tina Tchen, Chief of Staff to First Lady Michelle Obama. Billboard. Marie Claire. Proctor & Gamble. JetBlue. And a group of kids putting on a bake sale. What do they all have in common? 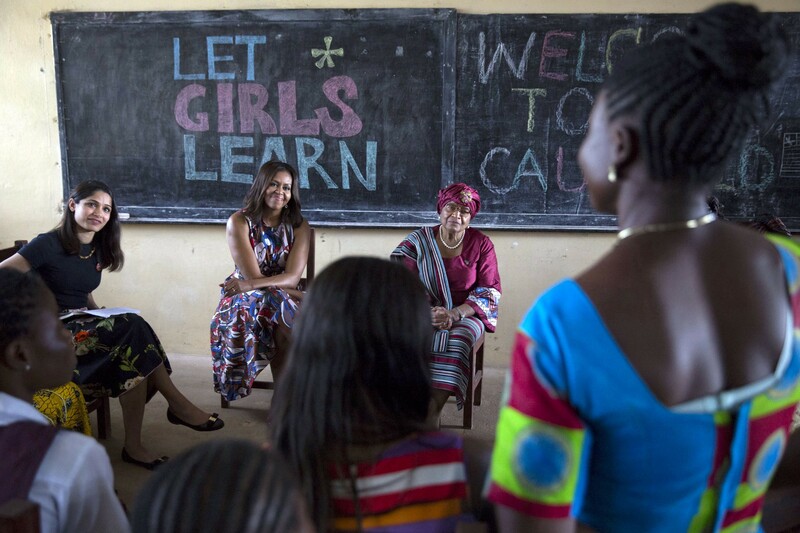 They are organizations and individuals across the country who have stepped up and heard the call that the President and First Lady have put out to help the more than 98 million girls around the world have the opportunity to go to school through the U.S. government initiative they launched in March 2015: Let Girls Learn. These supporters, and many, many more, have committed to supporting these girls because we know that, when girls earn an education and have their voices heard, they don’t just transform their own lives, they transform their countries and our entire world. But unfortunately, many women never have these opportunities — particularly in developing countries across the globe. Our responsibility is to address this crisis as moms, dads, students, teachers, business leaders, and as citizens of this country and our world. For many girls, the barriers are resources: families can’t afford school fees or the nearest school is miles away and they have no way to get there. It may be that there is a school nearby but it doesn’t have adequate bathrooms. Sometimes girls can’t afford feminine hygiene products, so whenever they have their period they have to stay home, and they fall behind and end up dropping out. But often, the problem isn’t just about resources, it’s also about attitudes, because when girls hit adolescence, that’s often when they’re first subjected to the beliefs that societies hold about women: that girls should be forced to get married and have children as early as possible, or that they should stay home and do household labor to support their families. Since the President and First Lady launched Let Girls Learn, the initiative has invested more than a billion dollars in new and ongoing girls’ education programming in more than 50 countries. The First Lady has traveled around the world and engaged governments to help, such as the UK, Japan and South Korea, who have collectively pledged nearly $600 million towards global girls’ education programming. As an example, students at Stanley Middle School in California recently donated $1,500 to the Peace Corps’ Let Girls Learn Fund that they raised by selling popsicles and hot chocolate during their lunchtime. Two other young women in Chicago hosted a night of art, music and performances and charged their friends for tickets to the event, which raised $1,350 for Let Girls Learn. And, two fourth graders from New York City learned about the challenges that girls face in getting to school, and held a bake sale to raise funds for a clean water system in The Gambia. But you don’t need to raise money to have impact on this initiative. Millions of people worldwide participated in a social media campaign to spread awareness about girls’ education. CNN Films produced a documentary called We Will Rise and the MAKERS song This is for My Girls have reached new audiences about this critical issue. Since the launch of Let Girls Learn, the White House has announced nearly 100 private sector commitments to adolescent girls’ education. Media organizations like Playbill and the Association of Magazine Media have donated ad space. Alex + Ani and InStyle have deployed designers to create products to raise awareness for Let Girls Learn. IBM is deploying consultants to work with Peace Corps volunteers and the people they serve on their education projects. The Girl Scouts created a badge. Newman’s Own, Endeavor Energy, Proctor & Gamble, Johnson & Johnson, Lyft, Salesforce.org, UPS Foundation, Xerox, Barney’s New York, Sesame Workshop — the list goes on and on of organizations that have understood the need and found a way to support this initiative in a way that fits their expertise. And just last month, Marie Claire magazine featured Let Girls Learn as its charitable beneficiary for its new “Young Women’s Honors”; Billboard magazine featured Let Girls Learn in its “Women in Music” special and contributed $75K worth of support; and the Sara Blakely Foundation, helmed by the founder of SPANX, donated $100K. These organizations, and others who have contributed throughout the past two years understand that these girls might live halfway across the globe, but they are so talented, they are so curious, they are so outspoken, and they have so many ideas about what they’re going to be when they grow up. And then one day, someone taps them on the shoulder and says, sorry, you’re a girl — you have to stay home and marry a man years older than you and start having children of your own. As the First Lady has said, think about what that would have been like for you or your children — to be told at the age of 12 or 13, that’s it, your dreams stop here. Imagine who you would be today if your formal education had ended after middle school. Imagine being a grown adult knowing only what you learned through eighth grade. Now multiply that by about 98 million and you’ll have some idea of the magnitude of this outrage. For me, as a mother and as a woman, this issue is personal, as it is for the President and for the First Lady. But, this is not just a moral issue — there is also a powerful economic case for educating girls. For example, each extra year of secondary school can increase a girl’s income by as much as 18 percent. And one study showed that sending more girls to school can even boost an entire country’s GDP. When girls are educated, they raise healthier families and contribute more to their country’s workforce. That is not just good for their economy, it can be good for our economy too, since we all know that rising incomes and standards of living abroad are good for companies here at home. And, from a security standpoint, places where women and girls are treated as full and equal citizens are more stable and more democratic. This is not just a moral issue — there is also a powerful economic case for educating girls. We have confidence that the U.S. government will continue to support these adolescent girls through Let Girls Learn — as we have done in conflict zones like the Democratic Republic of the Congo; through programs that address poverty, HIV and other issues that keep girls out of school; and through the Peace Corps, where they are training all 7,000 of their volunteers on girls’ education and developing local, grassroots solutions to this issue. We are so proud of what we’ve done the last two years of this Administration, and the First Lady and I will continue to work on this issue, but we also want to be very clear that we, nor the government, have all the answers or all the resources we need to solve this problem — and now more than ever, we need everyone’s help in this effort. We need expertise, products, ideas, and technologies. Every person across the U.S. can help contribute in some way. We need to get these girls into school, because we know that education is the single-most important stepping stone to power, to freedom, and to equality. This is our moral imperative as women and as human beings. And, for business leaders, it is your economic imperative and what the First Lady has said means to be “Leading with Purpose” to support these girls. As the Administration comes to a close, I ask everyone — whether a mom, student, teacher, or executive to think: how and what can I do to help? You can visit the website to learn more, share your thoughts using the hashtag #LetGirlsLearn, and talk to your friends and colleagues about what you can do to support these girls. Together, we can solve this problem, and we can give every girl in the world a future that is worthy of her talents and her dreams. Visit letgirlslearn.gov to take the next step.